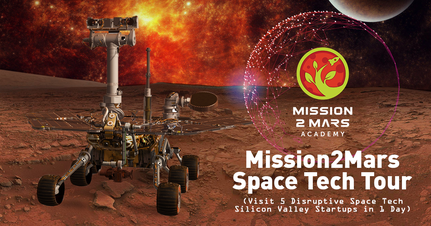 with innovative expertise from Silicon Valley. 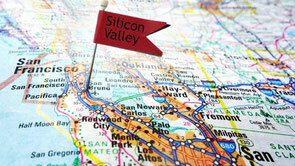 A unique way to explore Silicon Valley and lean about innovative trends from the insiders. 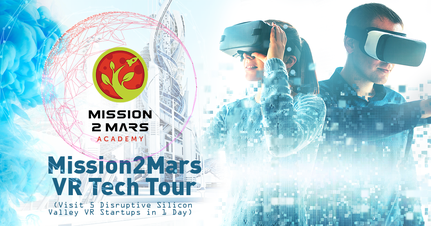 You' ll visit famous Silicon Valley unicorns and legendary companies, meet local innovators, entrepreneurs, investors explore and plug in to world's N1 ecosystem of innovation! 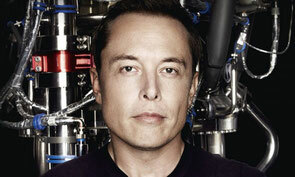 Re-imagine corporate innovation with Silicon Valley perspective. 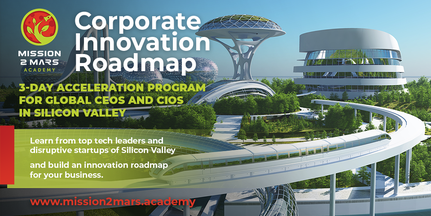 Build your innovative roadmap and establish your company as a future-ready innovator today. 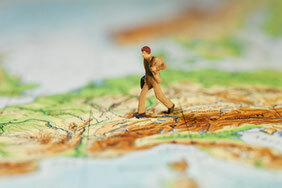 Navigate your business strategy in digital world. 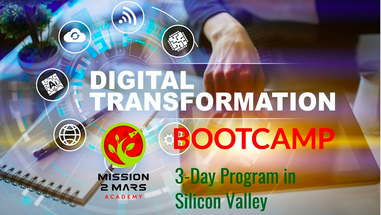 Learn best practices of digital transformation from Silicon Valley change-makers. 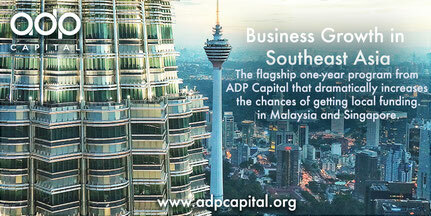 Explore your company's business growth and Investment Opportunities in Asia-Pacific Region in this one-week program. 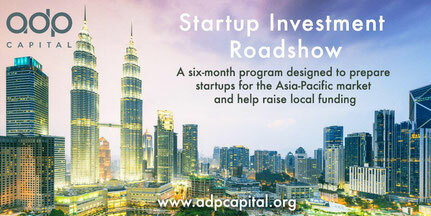 You will visit local tech companies investment funds, accelerators. 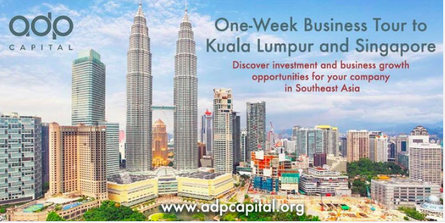 It is a great opportunity to pitch your project to the local investors or make a first step to bring your business to the Asia-Pacific market. 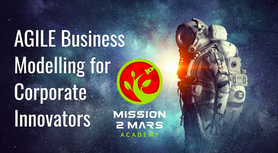 This course provides a full overview of basic and advanced tools all startups need to know in order to CRAFT, FUND, and GROW a successful company. 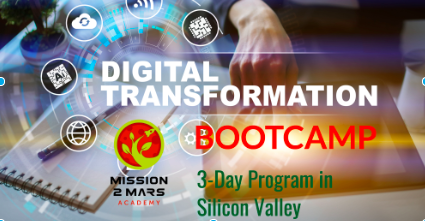 Book online mentoring session with Silicon Valley mentors for your business, get tools and expertise to bring it to the next level. 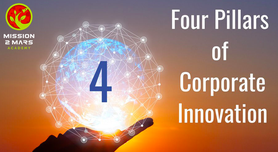 Discover how you can foster the culture of innovation that will catalyze your team's innovative potential and bring a 10x Effect to your company's results. 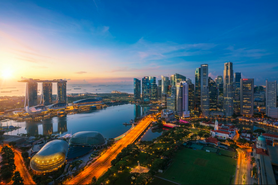 Learn about culture and business opportunities of Asia-Pacific region, its economic markets, learn how to conquer this market with right strategy and tactics. 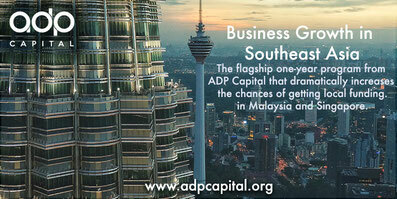 Explore your investment and business growth opportunities in the emerging markets of Asia. 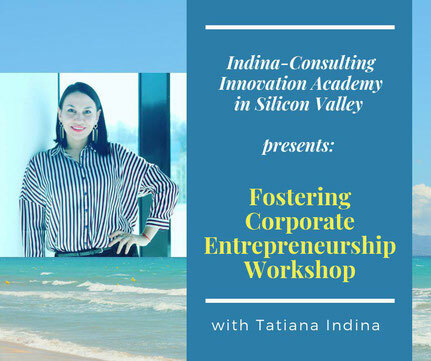 This workshop will depict a detailed framework and process for developing and validating the strategies and tactics for an innovative business, whether it's a new line of business within an established company, or an entirely new company. 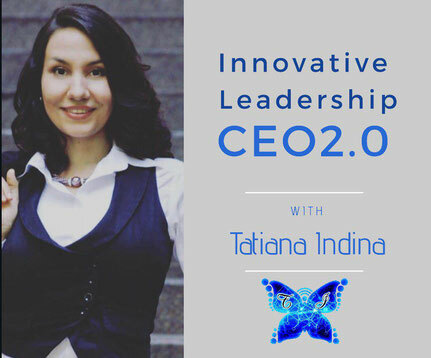 Become an innovation leader yourself, learn how to create and communicate your innovative vision, inspire your people and lead them through innovative transition to the future you shape. To succeed in today's global context, leaders have to build successful relationships with people from different cultures and continents in a positive way. 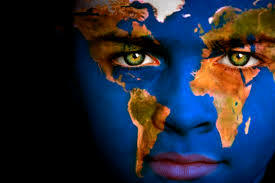 Improve your cross-cultural competence to become a truly global leader. 2 Days unique workshop where corporations learn best practices of corporate innovation from top Silicon Valley experts, build their innovative roadmap and work together with Silicon Valley startups on creating their innovative products and business models. Accelerate your innovation journey by training the next generation of your company's change agents - corporate entrepreneurs. 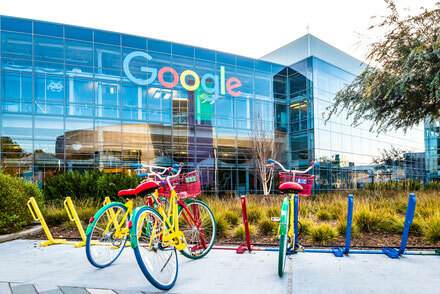 Coming to Silicon Valley for the first time is quite a challenge: your time is short, the horizon of opportunities is unlimited and you don't know where to start. 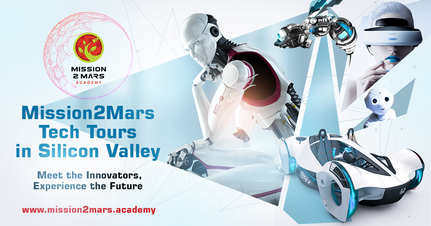 This seminar will be your perfect first introduction into innovative ecosystem and culture of Silicon Valley. 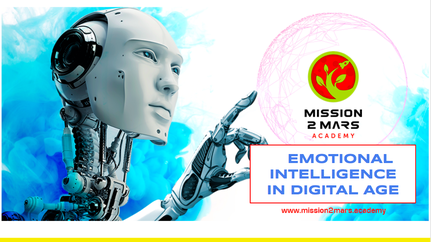 Emotions are all around us in business, and things become more complicated when it comes to digital communication via social media, emails, messengers. 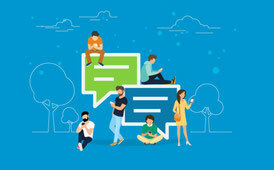 Learn how to master these online tools and also build positive productive relationships with your business counterparts and significant others. 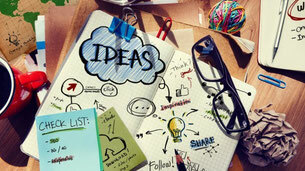 Genius insights and creative ideas can be generated by anyone. 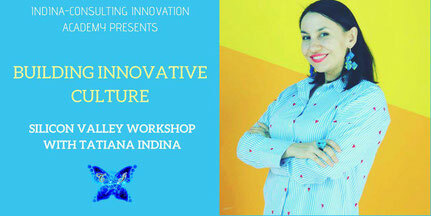 In this workshop, you will learn the instruments and techniques that will help you unleash your creative potential and generate creative and innovative ideas for your business. Globalization leaves leaders no choice but to learn the rules of the game for global markets, where local solutions and models are not always scalable. 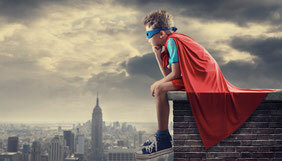 Get a broader vision of what your company and you as a leader should be doing in order to win the global competition. 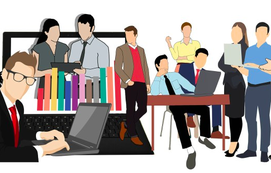 Your team is a key factor of your startup success. 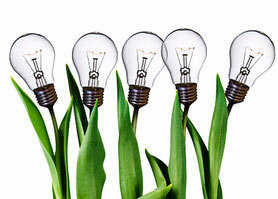 A motivated, productive, and united team can reach incredible and outstanding results. Learn how to improve your team performance and engagement, develop successful communication, and to build a real dream team! 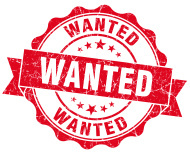 You've got only 30 seconds to impress your investor and your pitch is your chance to win! 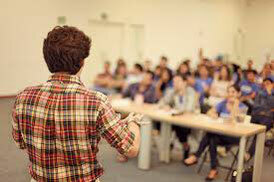 Come to this workshop to help refine your startup pitch, get a professional feedback and start working on improvement. Attend this workshop to check out your networking blind spots, sharpen your communication skills and approaches to build your network. Bring your success to the next level. Motivation is a fuel of your success in life and business. Sometimes finding the right motivation can be hard, especially after a failure. Come to this very useful workshop to empower your motivation, and to learn how to motivate others. 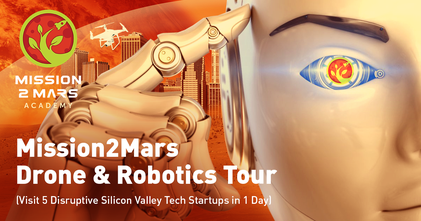 Silicon Valley Tech Tours: VR, Robotics, Space Tech and more. Join our startup meetup networking group to meet new partners, investors, and clients, and exchange your news. Become a member of our Angels & Founders meetup club - meet new and interesting people, and discuss latest trends in the startup & investment scenes. Let us know your feedback! We want to hear about your experience, and we are looking forward to seeing you again! 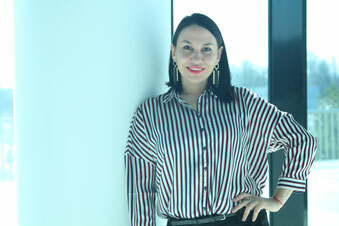 If you are an expert in a particular field interested to teach workshops, consult global companies or mentor startups - please add your info to this form and we will contact you soon with a unique proposal.